US agencies like the National Institute on Alcohol Abuse and Alcoholism, the National Institute on Drug Abuse and the Substance Abuse and Mental Health Services Administration all agree that mental health and substance abuse are closely linked. Statistics show that nearly half of Americans diagnosed with a substance use disorder were also diagnosed with a different mental health disorder. Additionally, substance abuse significantly increases the risk of developing mental health concerns like depression, anxiety or obsessive-compulsive disorder. Recovery professionals often use the terms “dual diagnosis” or “co-occurring disorders” to describe those who are struggling with an addiction and one or more accompanying mental health disorders. When it comes to treating co-occurring addiction and mental health disorders, lasting recovery relies on managing both issues. If only one is addressed and treated, the other will continue to be problematic and may increase the likelihood of relapse over time. At Anchored Recovery, we specialize in providing individualized treatment for our clients with a dual diagnosis. Our well-trained staff is equipped to treat both addiction and mental health disorders, and we are prepared to work with you to identify your specific needs. We can help you learn effective, sustainable ways to stay in control of your addiction and your mental health for the rest of your life. The reasons that addiction and mental health disorders are so closely linked are not yet fully understood, but doctors and researchers do know that it makes sense for the two to be interconnected. There are two main ways that substance abuse and mental health interact — first, when those with mental health conditions try to use drugs or alcohol to alleviate their symptoms, and second, when long-term drug or alcohol abuse leads to the development of mental illness. With the stigma surrounding mental health disorders, it’s unfortunately not uncommon for people to avoid a diagnosis or professional treatment. It can feel shameful or isolating to be diagnosed with a mental illness, so many of those who should be working with a therapist or a doctor instead choose to use drugs or alcohol to help themselves feel better on a daily basis. But forming this kind of habit quickly leads to an addiction as the brain and body become dependent on a substance to feel good or normal. Additionally, abusing these substances can have many other long-term effects on the body that only serve to damage physical and mental health further over time. In the case of those whose drug use influences their mental health, these damaging long-term effects are the key concern. Drugs and alcohol are psychoactive, which means that using these substances changes your brain function. With short-term use, these changes are temporary — the feeling of being drunk or high does not last forever. But with long-term or heavy use, permanent changes can occur in the way the brain works. It becomes accustomed to functioning with the help of drugs or alcohol, and without them, it may not be able to produce the right chemicals or activate the right areas to help keep your thoughts and feelings balanced. These changes can trigger mental health disorders like depression or anxiety as the brain is no longer able to feel calm, happy or contented on its own. Since psychoactive substances and mental health are so deeply intertwined, it stands to reason that dual diagnoses are so common. When they do occur, it’s important to seek treatment for both an addiction and a mental health disorder — dual diagnosis treatment is the only way to ensure that both concerns can be addressed in a way that will ensure a lifelong recovery without relapse. Anchored Recovery is a community- and faith-driven treatment center that focuses on providing sustainable recovery for anyone struggling with addiction or a mental health disorder. We know that healing these concerns when they appear simultaneously is a unique challenge — finding the right way to treat your co-occurring disorders relies on your needs, your strengths and your experience. 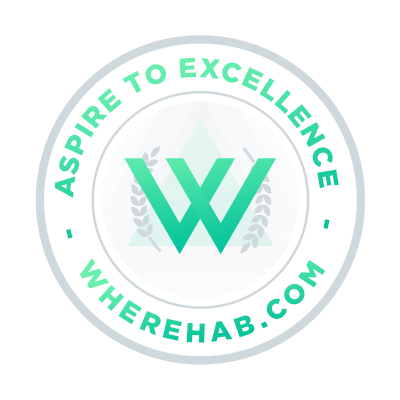 We are here to help you discover new ways to manage your addiction and your mental health without relying on harmful substances to live your day-to-day life. We prioritize independence and sustainable solutions that help you form new, healthy habits that can last a lifetime. Our programs are designed for adult men and women who are struggling with addiction to drugs or alcohol. We provide individualized support for all of our clients, including those who have a dual diagnosis. We welcome those with a range of mental health disorders, including anxiety, depression, personality disorders or eating disorders. If you or your loved one is struggling with concerns not listed here, please call our admissions team to discuss your needs as these examples are not comprehensive. If you or your loved one is in need of treatment for a dual diagnosis, the programs at Anchored Recovery might be right for you. We encourage you to reach out to our team right away and help yourself or someone close to you start their journey of recovery. Anchored Recovery is located in the heart of Orange County in beautiful San Juan Capistrano, California, with a private and peaceful treatment facility that is open to all adult men and women. We can help at every step of the recovery process, from detox to outpatient care. Contact us today at 800-272-4550 to learn more.